Hashtags are a tough deal. I really encourage anyone deciding to use a hashtag to do some research before picking a hashtag that will support your message and strengthen your branding. 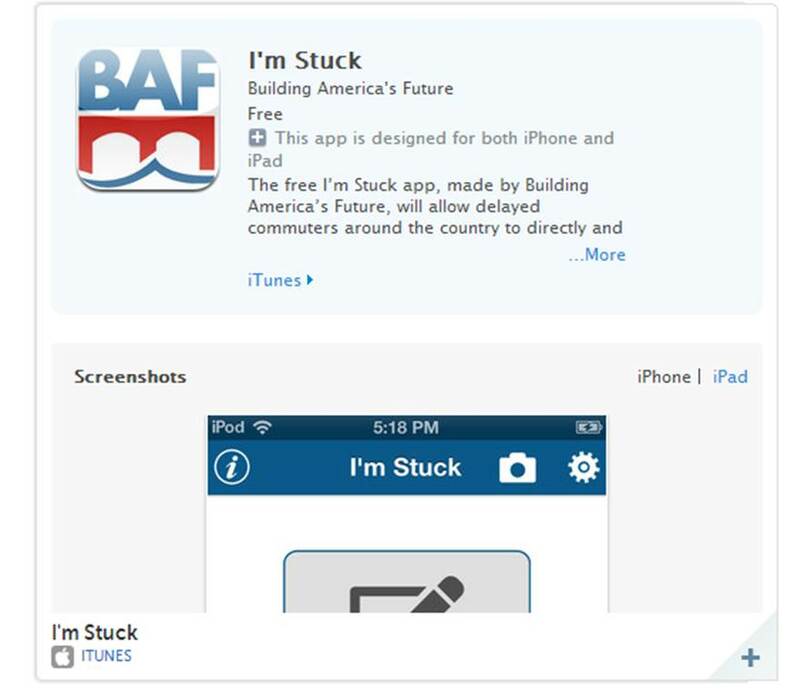 Earlier this week, Building America’s Future released a new mobile app that helps people tell Congress when they are stuck in traffic. The app encourages users to copy BAF and share on Twitter when they have sent a message to Congress. The app received some great coverage and I’ve watched for some backlash toward the app since it appears to encourage drivers to send messages while they are behind the wheel. I know that it doesn’t directly encourage distracted driving, but the idea that someone would send a message to Congress while stuck in traffic kind of infers that. Still, the app seems really smart and I’m intrigued. But the hashtag, #imstuck, seems to have landed with a thud. I’ve compiled a few of the items on Storify. I truly wish the BAFuture.org folks much success. 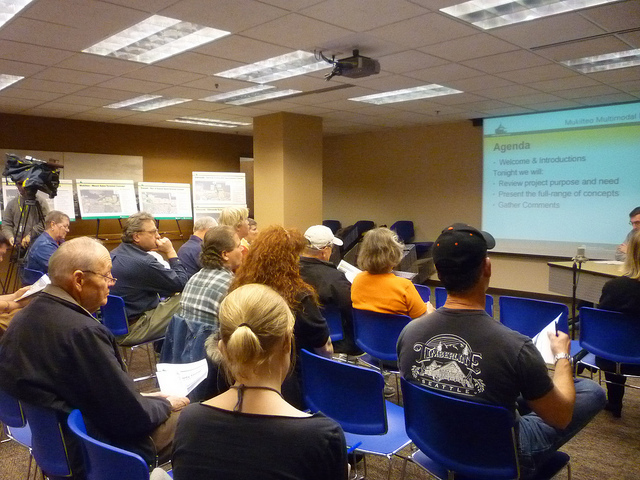 We need all the awareness we can get for transportation in Congress. But maybe we need a better hashtag? Social media sites are so popular that even our children admit they need more time offline. For those state DOTs that are considering how to use social media sites for formal public involvement, there are a few things to consider. First, acknowledge that at least for now, social media tactics are likely complementary to a good core program. After all, we still have to consider those who are not online. And even with more than 750 million Facebook accounts, there still are a few people who resist the urge to read their friends’ status updates and look at cute pictures of their nieces and nephews. Good social media plans rest atop solid traditional outreach programs, enhancing and enriching the opportunities for public input and, eventually, public decision-making.